Probably everybody is busy with the festival preparation now.. coz its Ganesh Chaturthi tomorrow! Even I was doing the preparations, and thought of doing this month's last posting :) I will be sharing an easy recipe today, which is very special for this festival! I already prepared some items for tomorrow because I can't prepare all the dishes alone quickly. 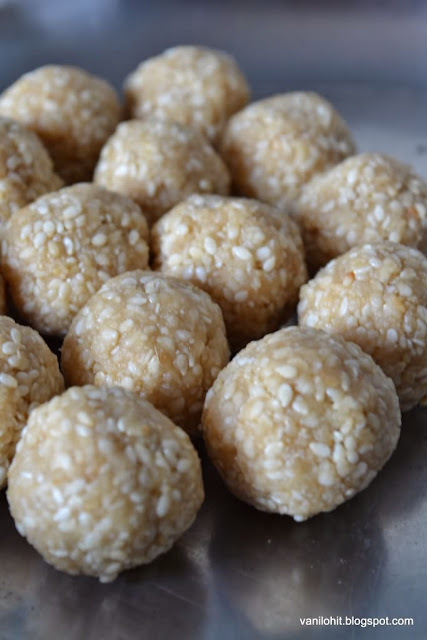 Today, I prepared Sesame seeds laddoo, which is one of the favorite dishes of Lord Ganesha. One of my Aunt prepares these laddoos very nicely. They will celebrate Sankashtahara Chaturthy every month and she won't miss these laddoos for the Naivedyam. We used to wait for the pooja to end and eat the tasty laddoos!! I have adopted some tips from her for this recipe. But these laddoos will be more tasty and chewy if you use the liquid jaggery which you can get only in rural areas. Roast the sesame seeds to golden color or until you get nice aroma. Add little water to the jaggery and bring to boil. Crush the sesame seeds in mixer just for 1 - 2 seconds and take out. When the jaggery reaches a thick, one thread consistency, add the cooking soda, crushed sesame seeds and cardamom powder. Mix them well. Then, switch off the flame and wait till the mixture cools down little bit. 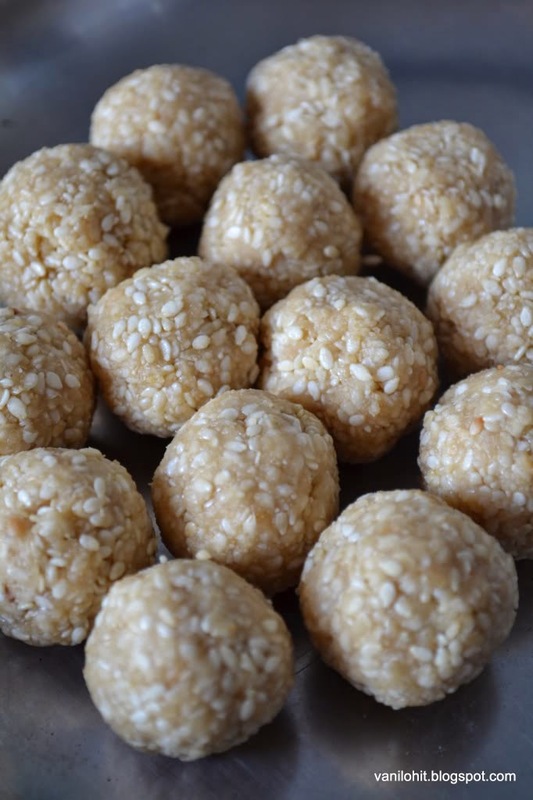 Prepare small balls (laddoos) when the mixture is still warm. 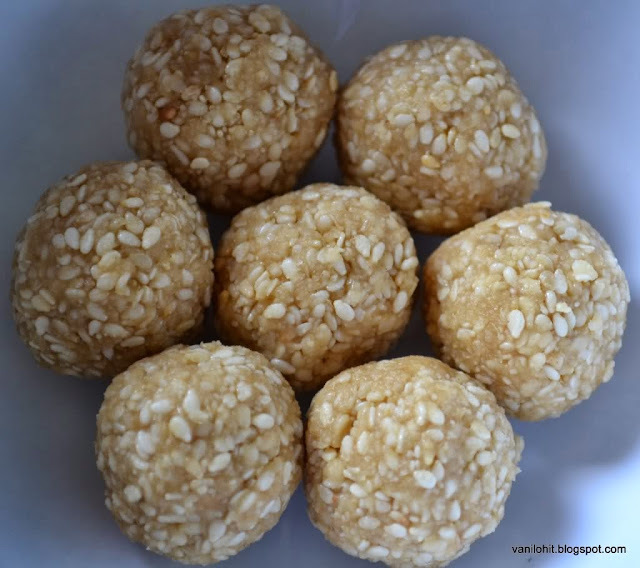 Sesame seed laddoos are ready now. Let me wait till tomorrow to enjoy these laddoos! 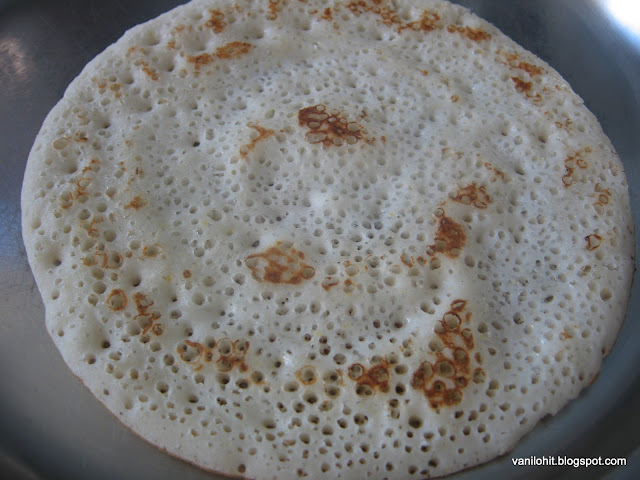 Normally, most of the dosas we prepare need some quantity of rice or rice flour to prepare the batter. 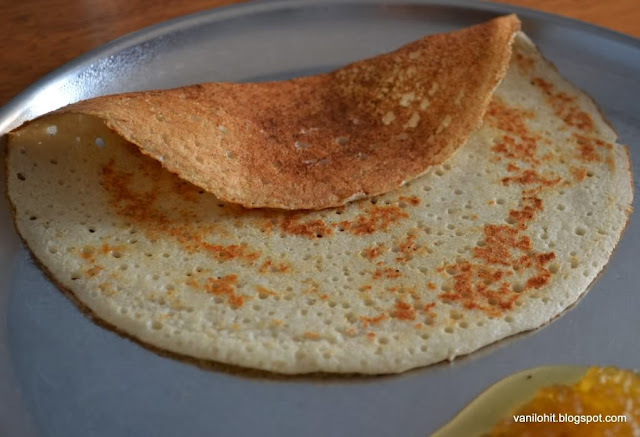 But this Rava dosa is prepared without using the rice. 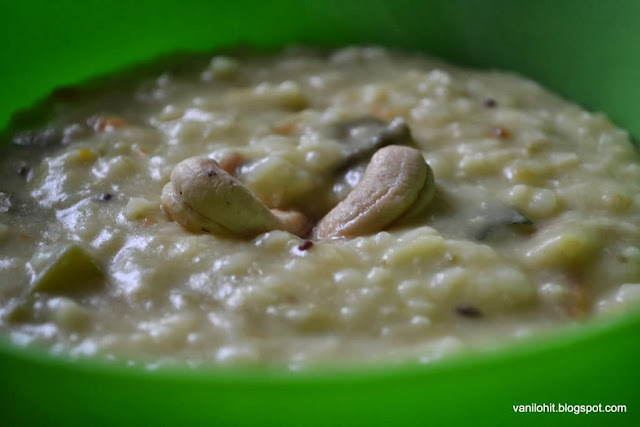 Only ingredients used here are - semolina (sooji rava) and urad dal. 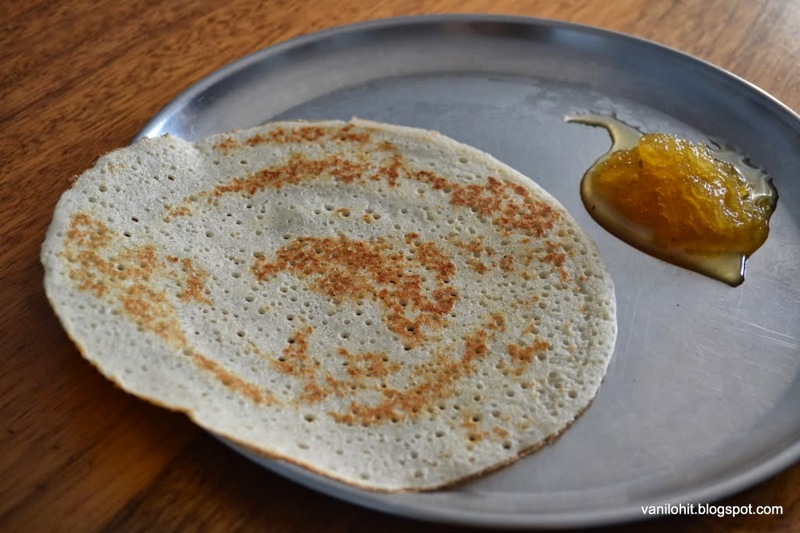 This type of rava dosa will be prepared for breakfast mostly on festival days when people won't prefer having anything made with rice before doing the Pooja. Procedure to prepare the batter for rava dosa is almost similar to the Idli batter. Wash the soaked urad dal and grind it into a fine paste by adding little water. Wash the semolina and drain all the water. 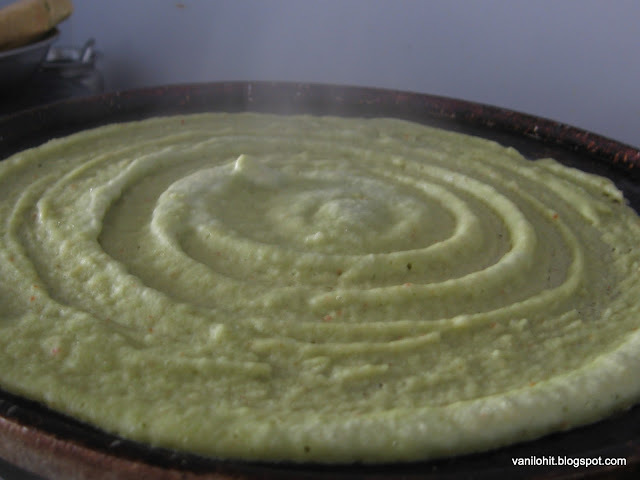 Mix the semolina with urad dal paste and prepare the batter. 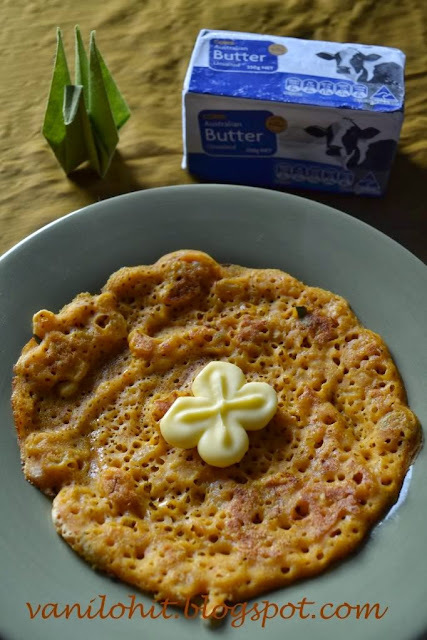 Consistency of the batter will be the same as regular dosa batter. 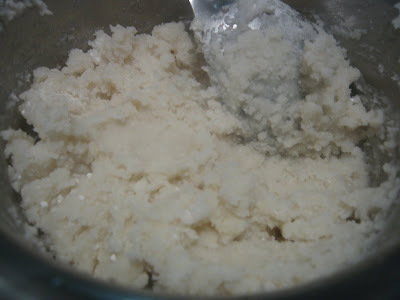 If the batter looks watery, little more semolina can be added to the batter. Let the batter rest in a warm place for 7 - 8 hours or overnight. Before preparing the dosa, add salt and mix well. Heat the tava and pour a large spoonful of batter on it. Spread the batter a little. You can add few drops of oil or ghee while cooking the dosa. But this is just optional. 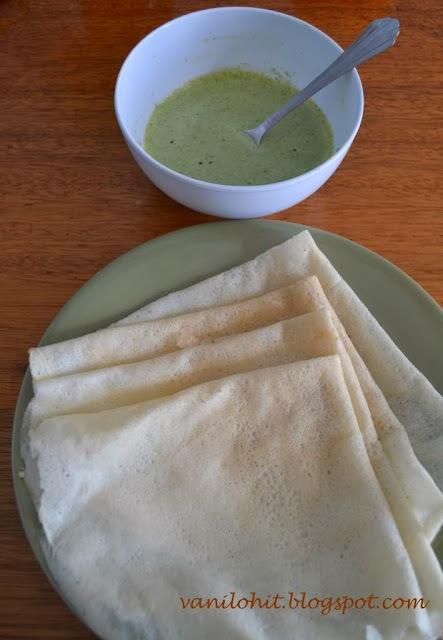 Cook the dosa on both the sides and serve hot with chutney or any other side dish. Finely chop the bamboo shoot and roast them on medium flame for 7 - 8 minutes. Mix the bamboo shoot, gram flour, rice flour, chilli powder, salt and prepare a thick batter using little water. Drop small balls of batter into the hot oil and deep fry them. 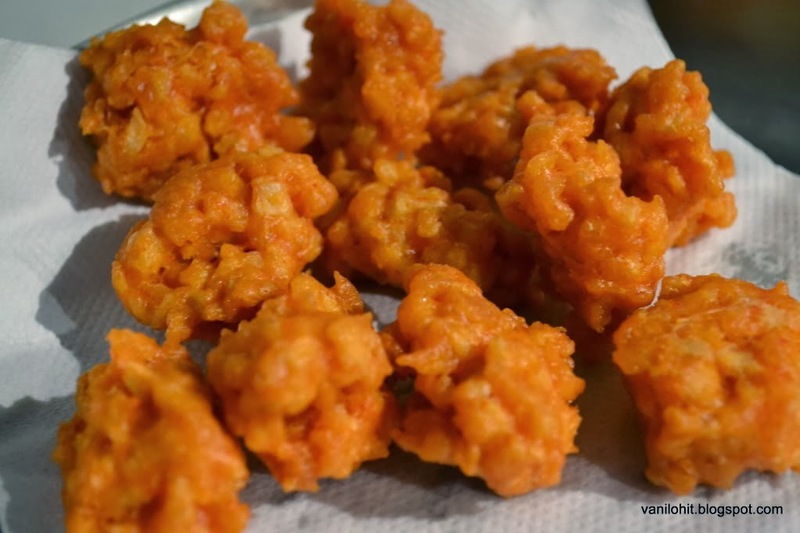 You can add little more rice flour to make the Bajji more crispy. Capsicum is one of the vegetables which I like most. There will be a stock of capsicum in my fridge all the time. 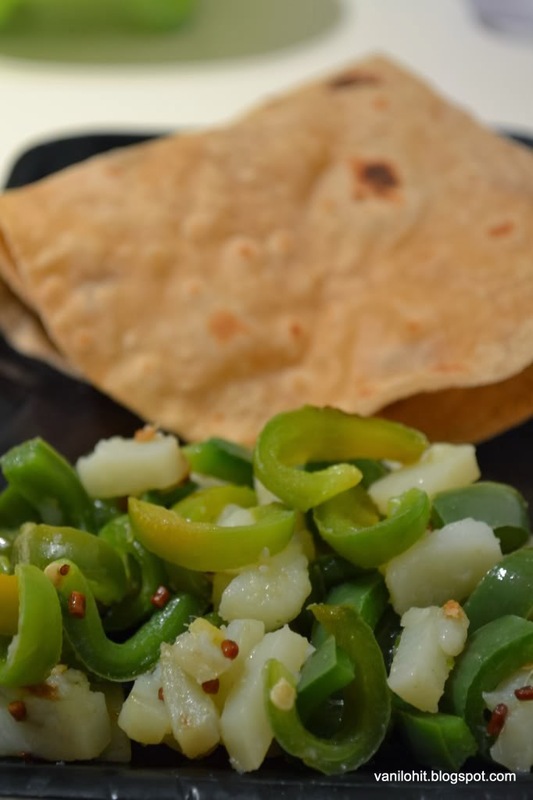 If we add capsicum to any dish, it will increase the taste of the dish with its nice aroma. Capsicum will get cooked very quickly; so, cooking process won't take much time. When the dish is almost done, add the capsicum and 5 - 6 minutes will be enough for it to get cooked! I learned this curry recipe from my sister. It has a unique taste with the aroma of fenugreek seeds and capsicum. It will be a good combo with rice or rotis. 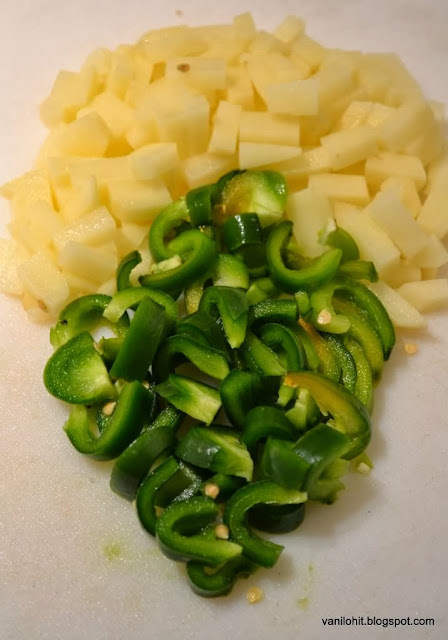 Cut the capsicum and peeled potato into small pieces lengthwise. Chop the green chilli and crush the ginger. Heat the oil and roast the fenugreek seeds nicely. Add the chopped green chilli and potato pieces and mix it well. Mixing helps the potato pieces to get coated in oil they won't stick to each other. Close the lid and cook the potato pieces. Saute occasionally to prevent them sticking to the bottom. Once the potato pieces are almost done, add the capsicum pieces, salt and crushed ginger. Cook for 4 - 5 minutes and switch off the flame. 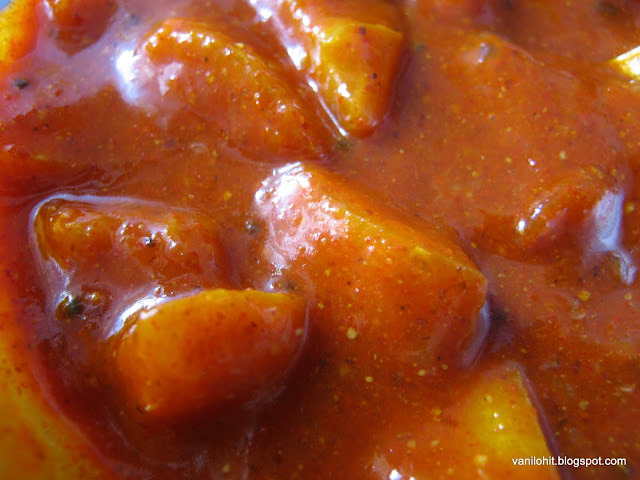 Serve this curry with rice, roti or chapathi. Do not over cook the capsicum pieces anytime. It will be nice to eat when the capsicum is cooked without losing its crunchiness. 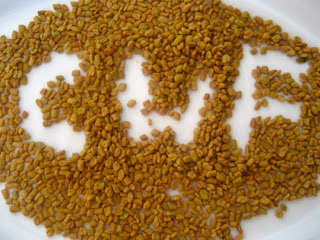 Sending this over to CWF - WS - FENUGREEK, an event with fenugreek varieties hosted by Priya of Now Serving. 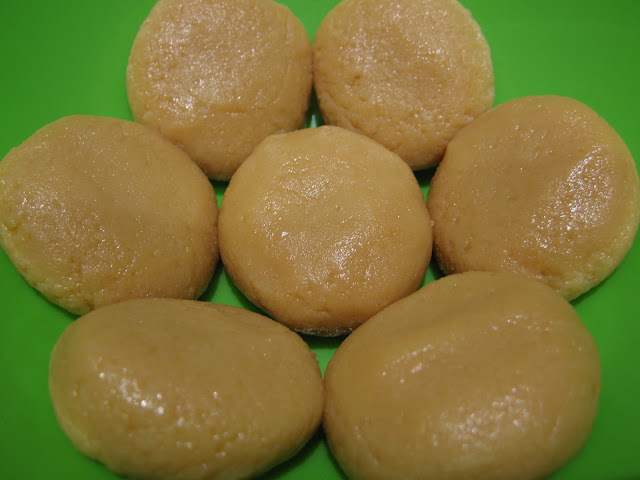 Tambuli is an authentic recipe of Karnataka. People prefer having Tambuli mainly during the summer time. Main ingredient here is buttermilk and other things / spices will be added to give a nice flavor and different tastes. Different varieties of tambuli can be prepared using sesame - cumin seeds, fenugreek seeds, ginger, raw mango, raw turmeric, Ondelaga (Brahmi or Centella Asiatica), lemon grass, etc. 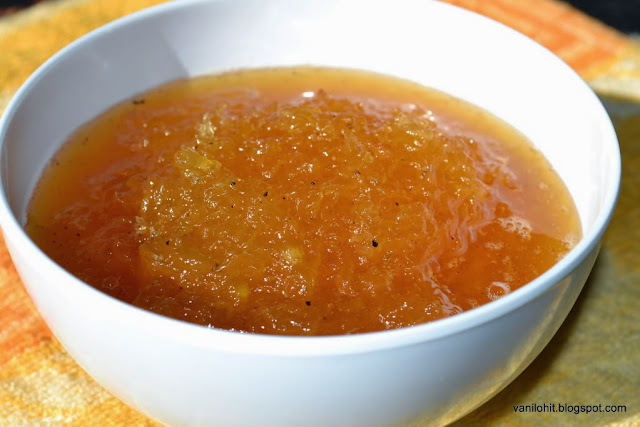 Let me share the recipe to prepare the Shunthi (Ginger) Tambuli now! Grind the ginger along with grated coconut into fine consistency by adding enough water. Transfer the ground mixture into a vessel and add buttermilk and salt. Add some more water, if tambuli looks thick. Heat the oil and do the tempering. pour it on the tambuli and mix well. Serve the tambuli with rice and pickle. Also, you can drink the tambuli like juice during the lunch! Tambuli won't last for long time since we add the coconut. So, you can keep it in the fridge if you are using it after 4 - 5 hours. Pineapple is the fruit which is liked by many people due to its taste and nice flavor. It can be eaten in many forms; just we can remove its peel and the innermost hard part and eat them as slices. Also, it will be used for preparing varieties of sweets, juices, ice-cream, cakes, etc. Combine the grated pineapple, sugar and lime juice in a vessel and bring it to boil. Let it boil on medium flame for some time to get a thick syrup consistency like Honey. Once you get the thick syrup consistency, add cardamom powder and pepper powder. Remove it from the flame and close the lid. 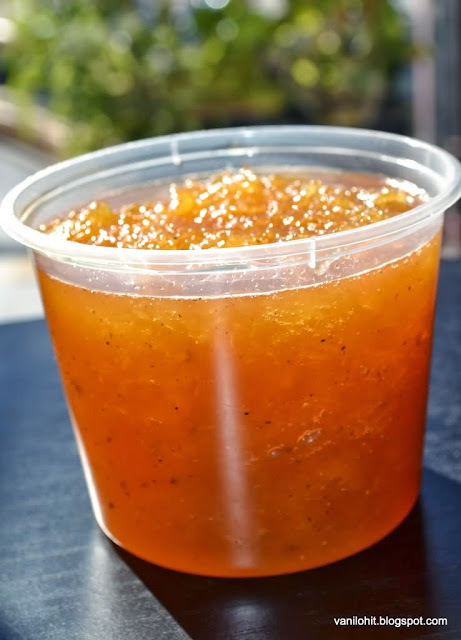 Transfer the jam to an airtight container once it is cool. If you boil them nicely, it will last up-to 2 months. 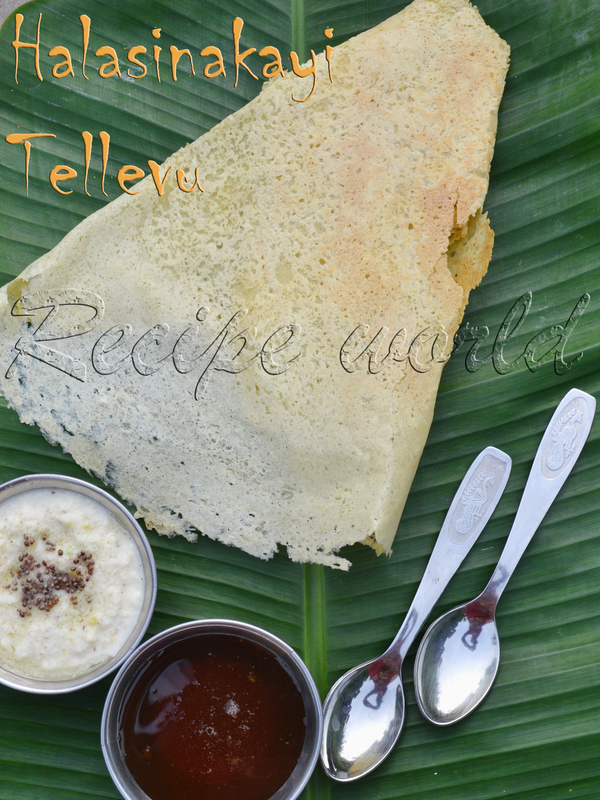 Enjoy the tasty jam with bread, dosa or chapathi! While removing the peel, also remove the innermost hard layer of the fruit. This jam needs lot of sugar! You can reduce the quantity of sugar little-bit if the pineapple you are using is really sweet. This is the time for heavy rains in India. 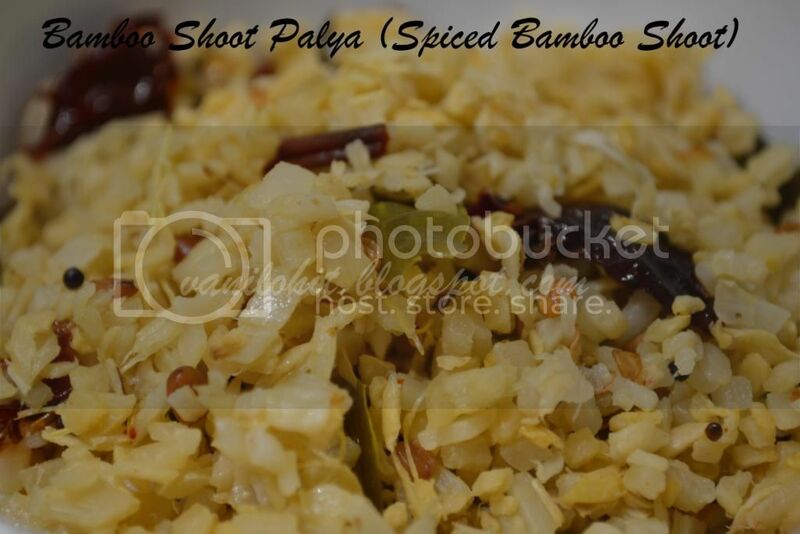 In rural areas like my native, it will be the season for enjoying the bamboo shoot recipes now. Bamboo shoot can't be consumed on the same day of cutting; we need to cut them into slices or any other desired shapes and it need to be soaked in water for 2 - 3 days (water need to be changed daily). So many varieties we can prepare using the bamboo shoot. If you are bamboo shoot lovers, you can preserve them and can use them anytime. Here, we are lucky enough, because we are getting the canned bamboo shoot throughout the year in the Chinese shops! Bamboo shoot recipes will be very good in taste. 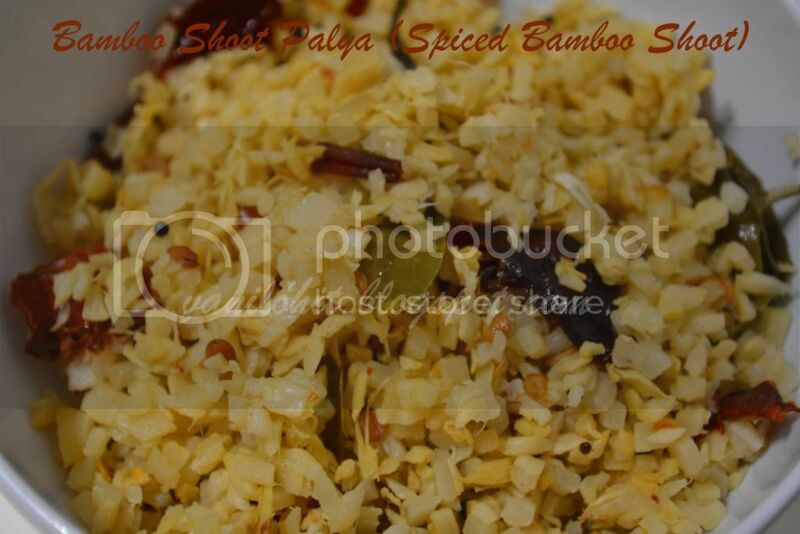 Spiced bamboo shoot is my all time favorite. Wash the canned bamboo shoot thoroughly and squeeze off all the water. Finely chop the bamboo shoot and keep aside. This step is bit time consuming! Take a heavy bottom pan and heat the oil. 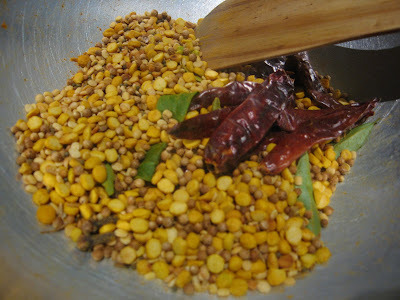 Add red chilli pieces, urad dal, mustard seeds, asafoetida and turmeric. Once it splutters, add the chopped green chillies and saute for a while. Next, add the finely chopped bamboo shoot and salt to taste. Let it get cooked on medium or low flame for 35 - 40 minutes. Saute them occasionally. When it is done, quantity will be reduced to almost half. Finally, add lime juice and remove it from the flame. This will be a good combination with rice. Since it is roasted nicely, it will last for 2 - 3 days. I have used the canned bamboo shoot here. So, I didn't soak it in water again. If you are using the fresh bamboo shoot, soak the chopped bamboo shoot in water for at-least 2 days before using them. In rural areas like my hometown, people won't prefer buying the ready food like snacks from outside. Instead, they will enjoy the home made snacks like Chips with seasonally available vegetables like raw banana, jackfruit, breadfruit, sweet potatoes, etc. Sometimes, they will prepare snacks using the flattened rice and puffed rice. 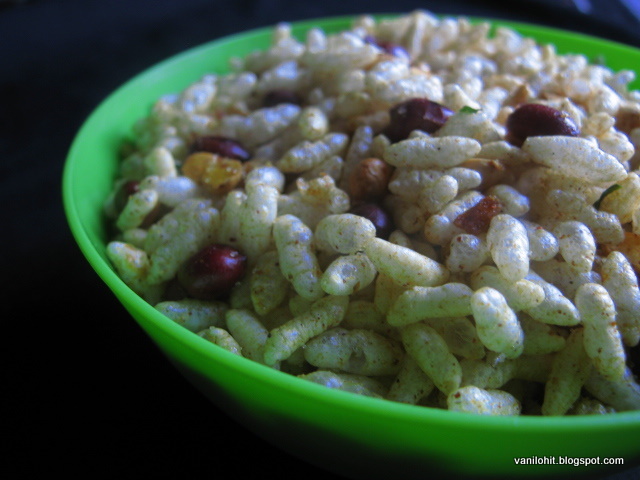 Here is my version of Churumuri using the puffed rice which you can enjoy with a cup of hot coffee or tea. Take a heavy bottom pan, heat the puffed rice on small / medium flame for 5 minutes or till it becomes crispy. Transfer the puffed rice to some other vessel. In the same pan, heat the oil and add groundnut, split peas and mustard seeds. Once it starts spluttering, add chopped green chillies and fry for a while. Add red chilli powder, turmeric, curry leaves and crushed garlic. Fry the garlic nicely and switch off the flame. Add salt and sugar to the seasoning and mix well. Finally, add the puffed rice and mix it thoroughly. I prefer mixing it with hands instead of spatula. Check the taste and add salt or sugar, if required. 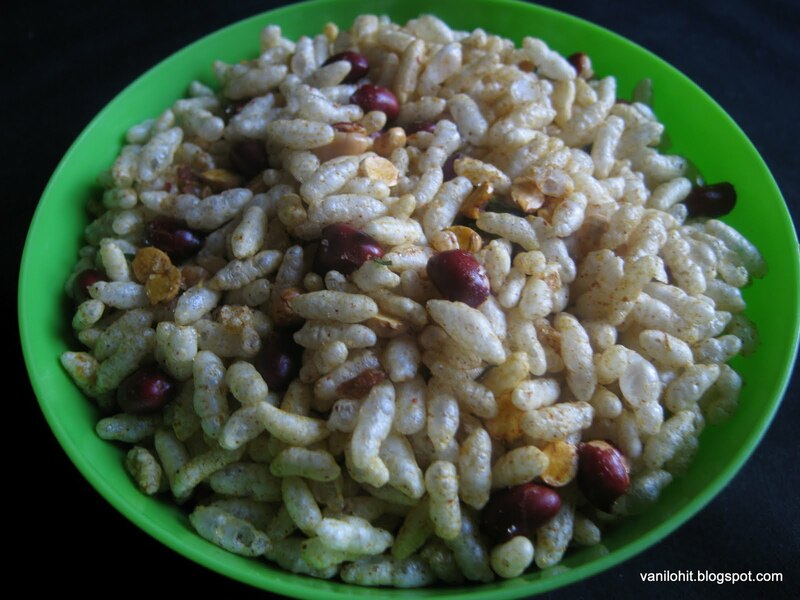 Enjoy the Puffed rice churumuri with a cup of hot tea! Pongal is a special rice variety of Tamil Nadu. Normally, it will be prepared on the day of Makara Sankranthi for serving to the God. My mom used to prepare some other dishes for praying to the God and I never tasted this recipe earlier. 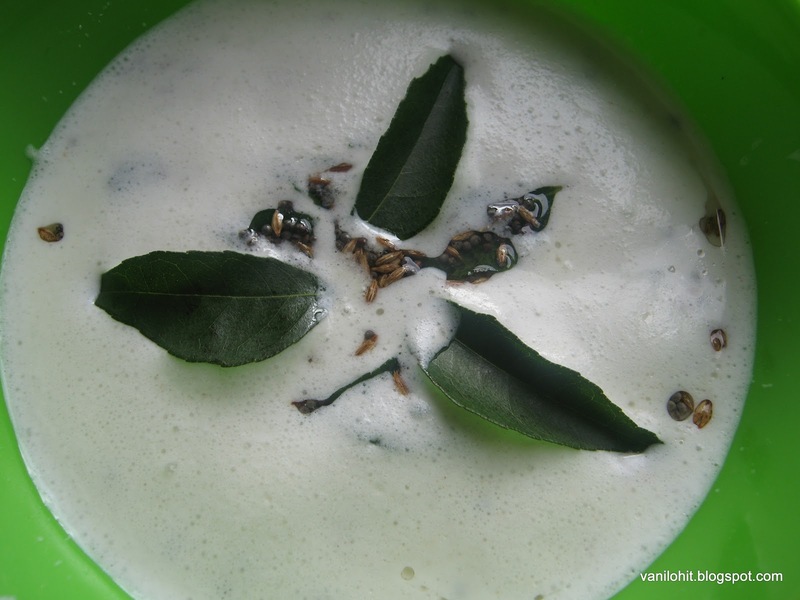 After I got shifted to Bangalore, I came to know about Pongal. Basically, there are 2 varieties of Pongal - Sweet Pongal and Ven Pongal. This Veg. Pongal is a variation of Ven Pongal, for which I have added some vegetables. It is a perfect dish for lunch or even lunch box. Dry roast the moong dal on medium flame till golden brown. Add some water to the roasted dal and wash thoroughly. Add washed rice, 2 spoons of ghee, 1/4th spoon turmeric, chopped vegetables, and around 6 cups of water. Cook it in the pressure cooker upto 3 whistles. Once the cooker is cool, open the lid and add the milk, chopped green chillies, crushed ginger, salt, lime juice, chopped onion, curry leaves and grated coconut. You can add some water to adjust the consistency. Keep the pongal mixture on medium flame and keep mixing occasionally. Once it becomes nicely hot and starts boiling, you can remove it from the flame. Do the tempering with ghee / oil, cashews, mustard seeds, cumin seeds and asafoetida and add it to the Pongal. 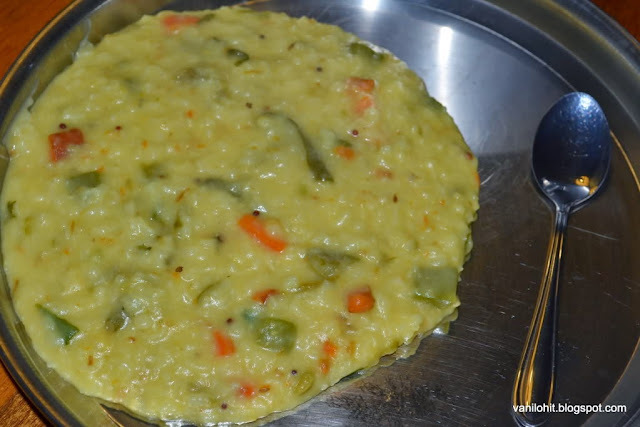 Serve the hot Pongal along with Papad. Here is a special pickle from my Aunt's kitchen. Normally, if we prepare the lime pickle, we need to wait for at-least 4 - 5 days to get it set well. Specialty of this pickle is that you can use it instantly!! My Aunt will prepare variety of pickles with seasonally available tangy fruits and vegetables. During my hostel days, always I used to have a stock of pickles prepared by her. This pickle is a good combination with curd rice. 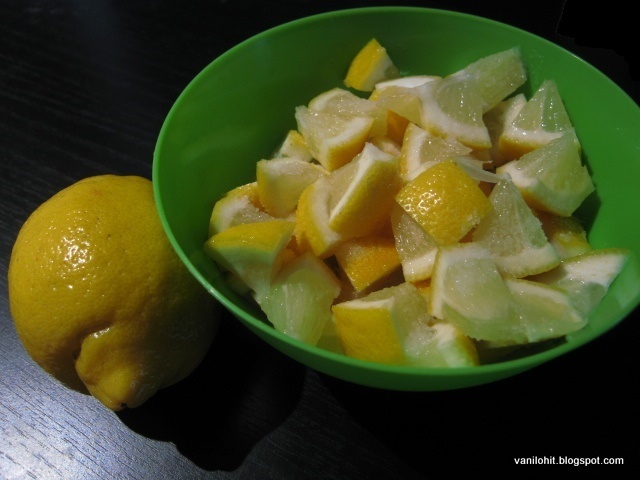 Remove the seeds from the lemon fruit and cut them into medium size pieces. Sprinkle some salt occasionally on the chopped lime pieces in order to prevent the pickle from getting bitter. Take around 2 cups of water, add needed amount of salt to prepare the pickle and bring it to boil (Add the salt approximately and can add some more salt later, if needed). When the salt water reduces to 1 cup or 1 1/4 cup, add the chopped lime pieces, sugar and 1/2 spoon of turmeric. Mix it well and remove it from the flame. Let it get cool down completely. Here, we have added the lime pieces to the hot water to make them get cooked little-bit and make them smooth. This will ease the process of keeping the pickle mixture for a week to get set well. The whole funda behind keeping the pickle for so many days before using them is to make the lime pieces smooth. In the meanwhile, dry roast all the ingredients under the Spices category except fenugreek seeds. Roast the fenugreek seeds separately until you get nice aroma. Combine all these spices together and prepare a smooth masala powder. Roast the red chilli powder by adding few drops of oil for 2 - 3 minutes and keep aside. Once the salt water mixture gets cool down, add the masala powder and red chilli powder. Check the taste and add some more salt or chilli powder, if required. Transfer the pickle mixture into an airtight bottle or container. Now, you need to complete it with the tempering part! Heat the oil, add fenugreek seeds, mustard seeds, asafoetida and pinch of turmeric. Once it starts spluttering, switch off the flame and allow to cool down completely. Pour the tempering on the pickle and store the pickle. My mom has given me a nice tip on how make the pickle to taste as fresh ones after few days / months of preparation. What you need to do is - make the tempering with 2 - 3 spoons of oil, few fenugreek seeds, asafoetida, mustard seeds and pinch of turmeric. Don't forget to add the tempering to the pickle once it gets cool down. To retain the freshness, it is always better to take small quantities of pickle (from the pickle you prepared) in a container for daily use. It prevents the remaining huge quantity of pickle getting exposed to the air frequently. Sending this over to the Condiment Mela - hosted by Srivalli. Preparation time: 1 hour approx. 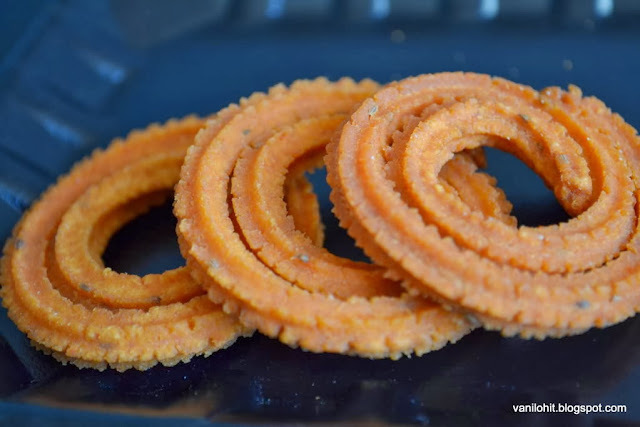 You can prepare 25 - 30 Chaklis from these measurements. 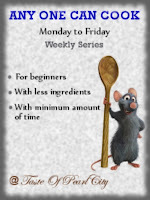 Wash the urad dal and pressure cook with enough water in a pressure cooker. 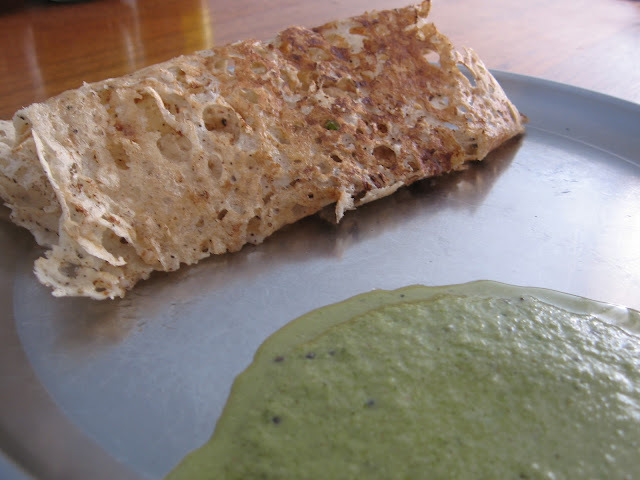 Once it gets cool down, drain the excess water and grind the urad dal into the consistency of Dosa batter. It takes less than a minute to grind them since it is cooked already. Add salt, red chilli powder, cumin and carom seeds and mix well. 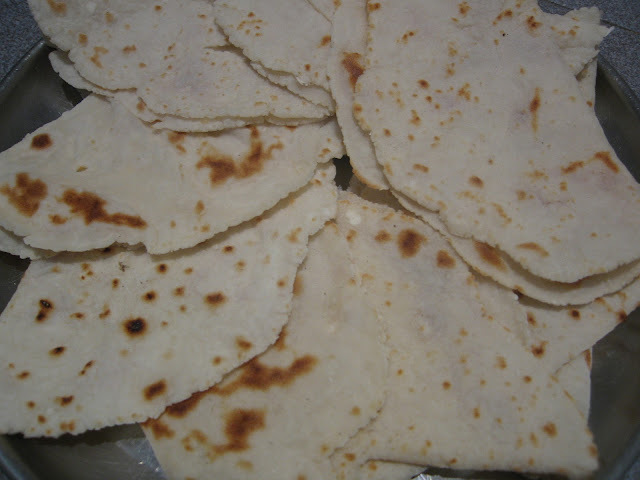 Add enough rice flour and prepare a smooth dough like chapathi dough. 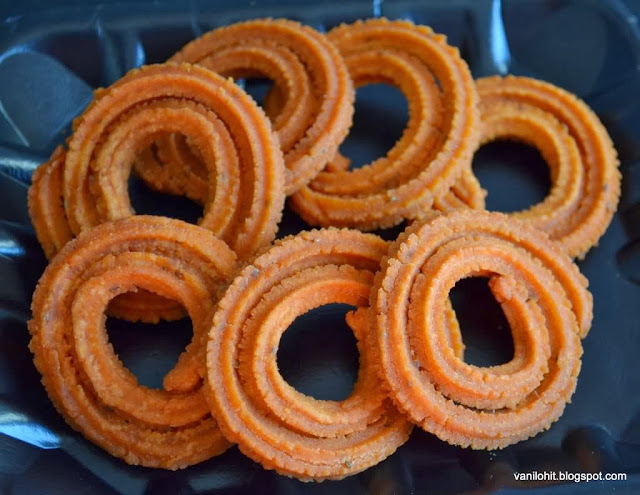 Fill the dough into the Chakli Mould (Chakli Press) and prepare the chaklis. Deep fry the Chaklis in hot oil on medium flame until they become crispy. Apply oil inside the Chakli mould and then, fill the dough. It prevents the dough from sticking to the mould. Also, it will be easy to clean the mould after preparing the Chakli. Grate the carrot and keep aside. Chop the apple finely. Spread the cooked rice in a plate and let it get cool down completely. In a vessel, combine the rooked rice, curd, crushed ginger, salt, grated carrot and finely chopped apple and red chilli powder. Add little water, if required. Adjust the taste according to your preference. Now, you need to do the seasoning part! Heat oil in a pan, add cashews, urad dal, mustard seeds and turmeric. Once it splutters, add chopped green chillies and curry leaves. 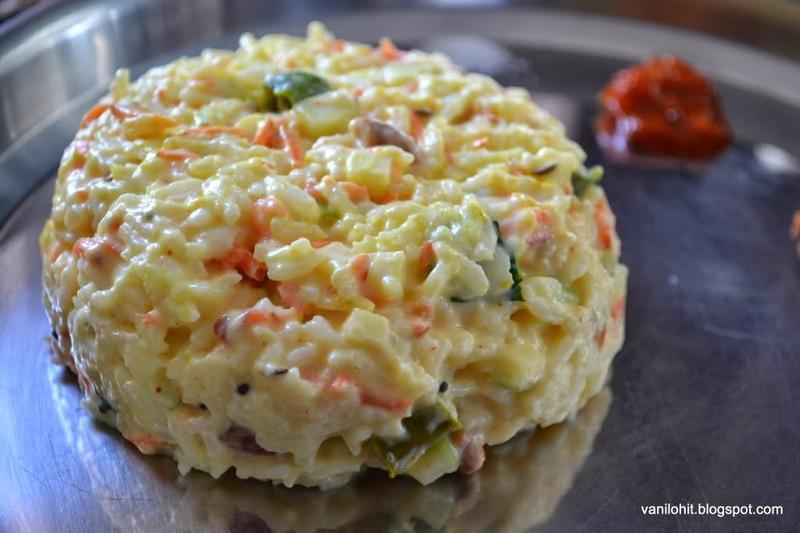 Pour the seasoning on the curd rice and mix it well. 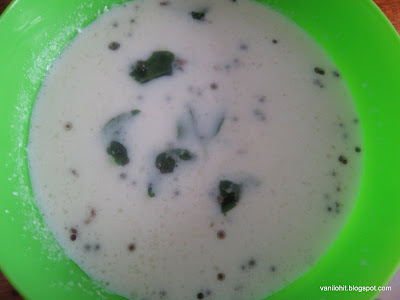 You can add few drops of lime juice if the curd is not that sour and tangy. Please note that this is purely optional! 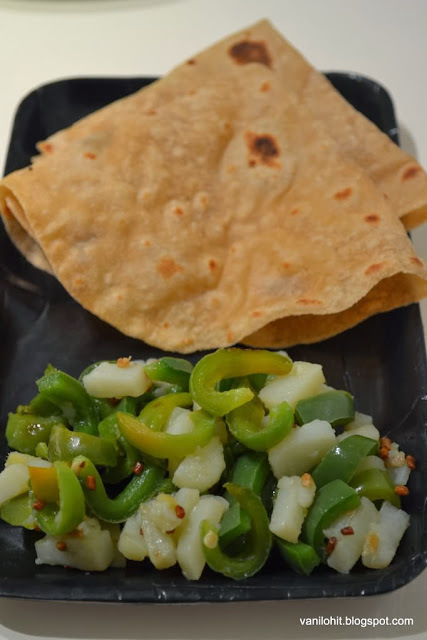 Few time back, I have posted a recipe named Akki Rotti, which will be prepared by adding the shredded vegetables and onion. But this is quite a different version. 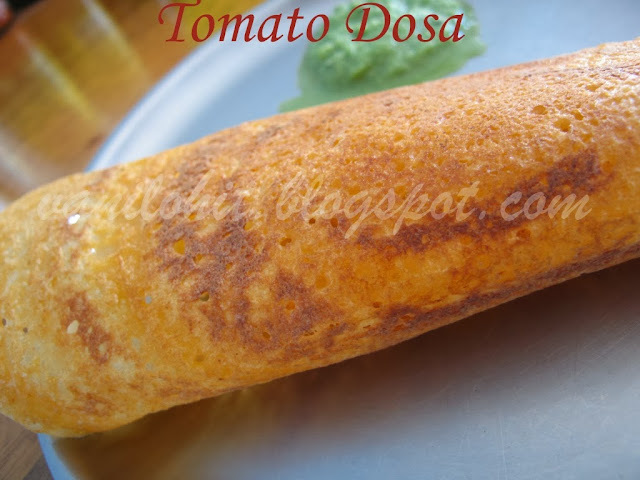 For this rotti, no need to add any vegetables and it needs to be rolled with the help of rolling pin. Main thing you need to follow here is, don't keep the dough for longer time. Else, it will become dry and it will be very difficult to roll them. This rotti will be good for breakfast as well as for lunch box. You can prepare around 5 rotis with the given measurements. Mix the rice flour, maida and salt in a bowl. Take the water in a vessel and bring it to boil. Once the water starts boiling, pour the dry flour in the middle of the water and allow it to get cooked. Don't mix the flour with the water; close the lid half-way and let it get cooked like that. 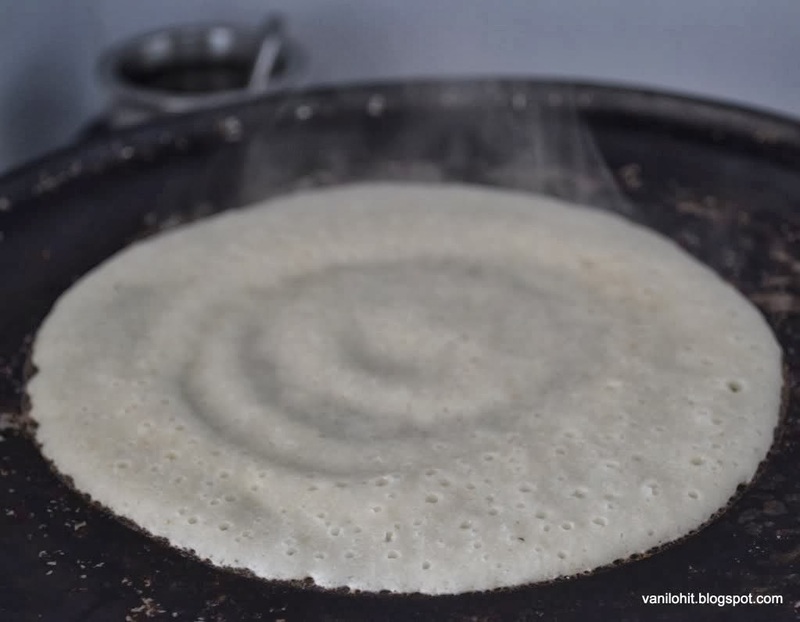 After cooking for 15 minutes, mix the flour and water with the help of a spatula into the consistency of chapathi dough. If the dough looks little-bit watery, keep it on the flame for few minutes and stir continuously until you get the dough consistency. 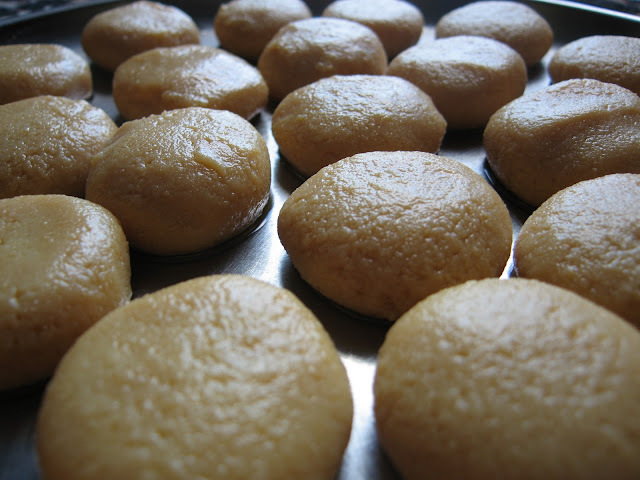 Once the dough gets cool down, prepare lemon size balls and roll them like rotis. 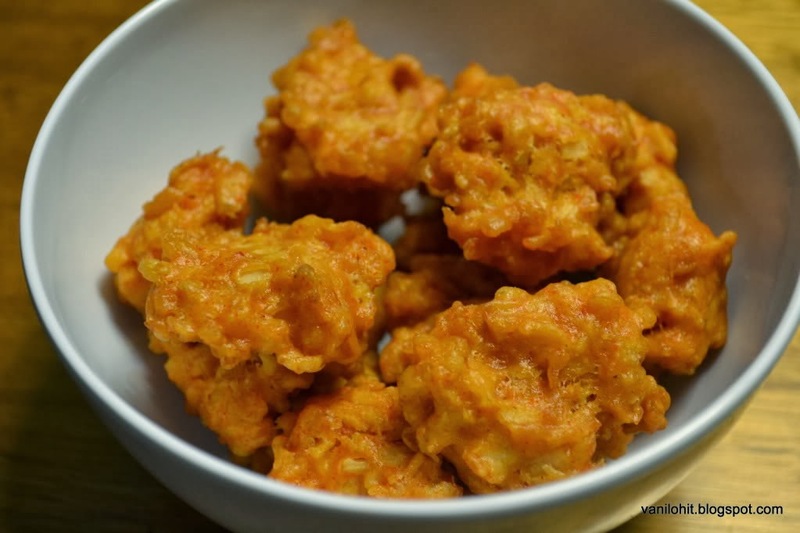 You can use some dry flour to ease the process. Transfer the rotis to the heated tava and cook on both the sides. If you have a grilled stove, put the half-cooked rotis on the hot stove for a minute and it will puff up nicely. Serve the hot rotis with chutney, chutney powder or Kharada Pudi. 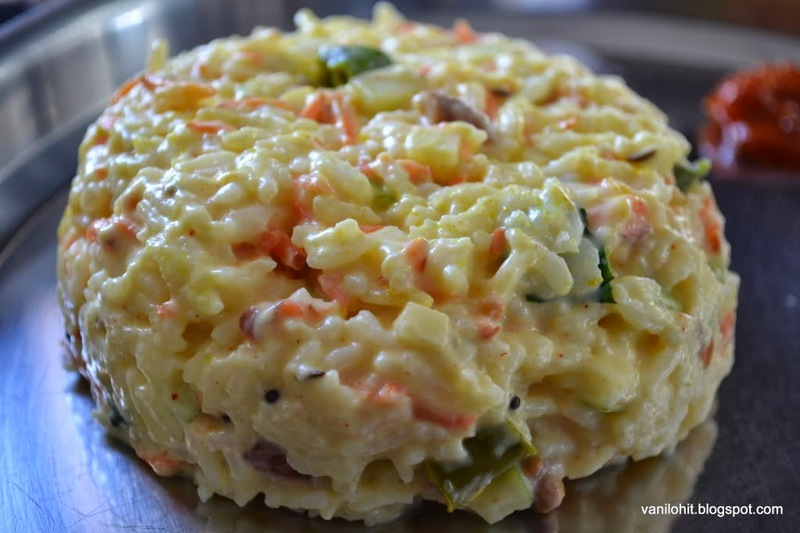 This is a kind of side dish which goes well with Dosa or Rotis. A spoonful of powder mixed with few drops of oil will be a nice combination. Normally, there will be a stock of these kind of powders in all the houses of Malnad Region, who would like to eat Dosas for their breakfast daily! Picks has not come out well this time.. Color of the powder looks very dull here :( Let me upload a new pick for this recipe sometime later. Dry roast all the ingredients except salt and amchur powder. 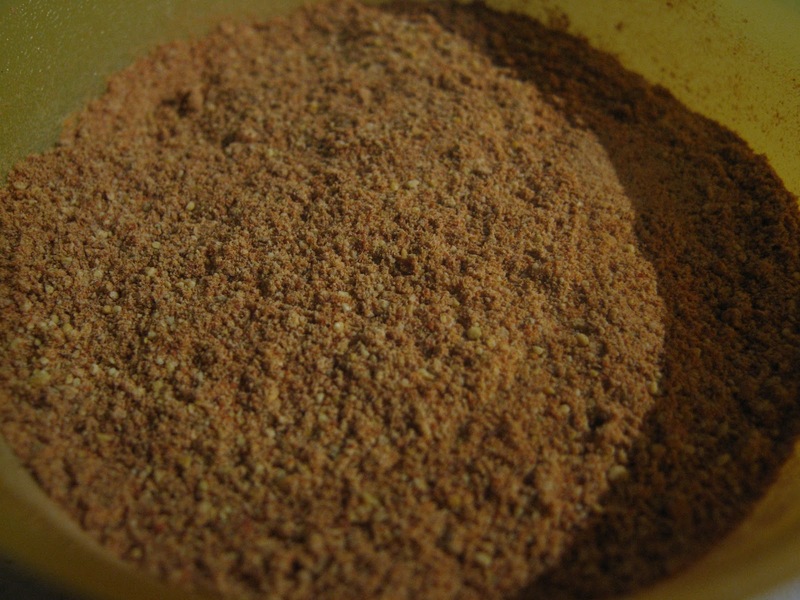 Grind all the ingredients including salt and amchur powder into fine powder and store it in an airtight container. While using, take around a spoonful of powder, add few drops of oil and mix well. You can modify the measurements to get a different taste next time. It was a long week-end for us last week.. and Dear Hubby took me to the Caves Tour one day :) We didn't go for any trip recently because of the winter. We enjoyed the journey a lot this time.. It was quite a long journey to go there with nice greenery around! This time, I prepared a big bag of pop corn at home and it helped us a lot during the journey. 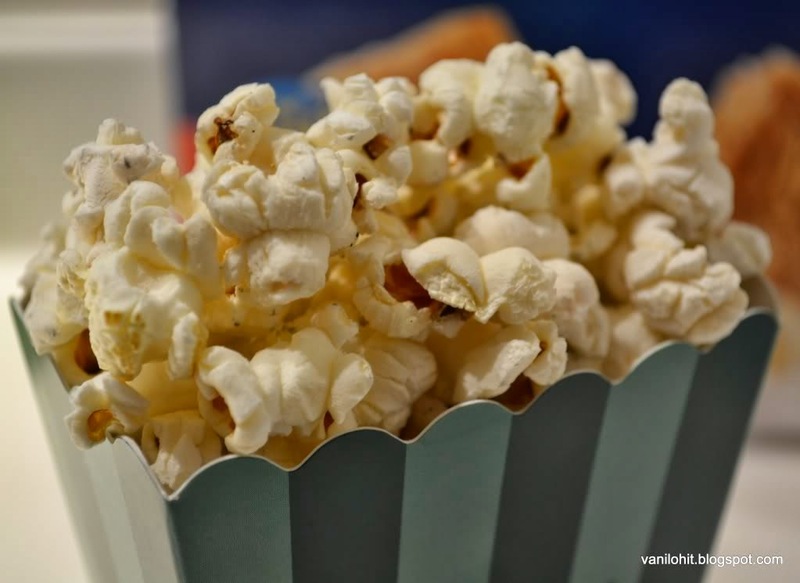 Its very easy to prepare pop corn at home! I feel that it is a perfect snack while watching the movies or for serving the unexpected guests. 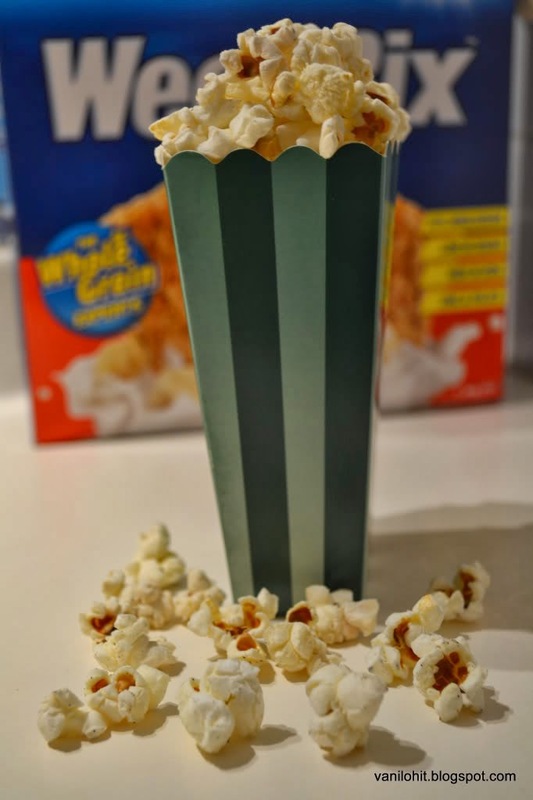 Just follow the recipe below and enjoy the pop corn!! Heat 2 spoons of oil in a pan. When the becomes extremely hot, add 4 - 5 spoons of popping corn and close the lid. 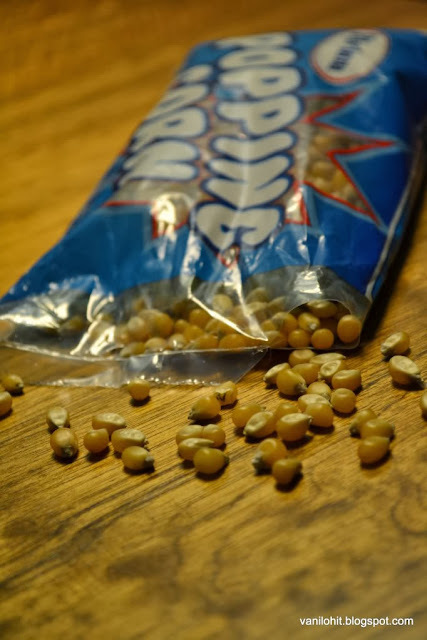 Within a minute, corns will start popping you will hear the sound. Toss them 1 - 2 times or mix with a wooden spatula. Once it gets ready, add salt and pepper powder and mix it well. Just follow the above steps and prepare the pop corn as much you require! Sun flower oil or butter can also be used instead of olive oil. If you want, add a pinch of turmeric to the heated oil to get the yellow pop corns. Again, this is a traditional recipe from Havyaka cuisine. 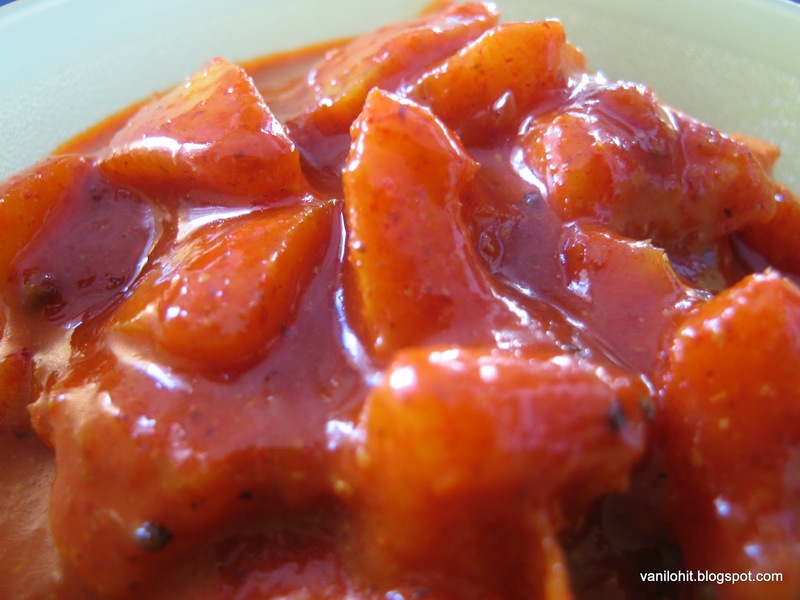 This is a kind of spicy curry or side dish which suits the lovers of spicy food! Normally, people love to eat this hot curry during the rainy season. 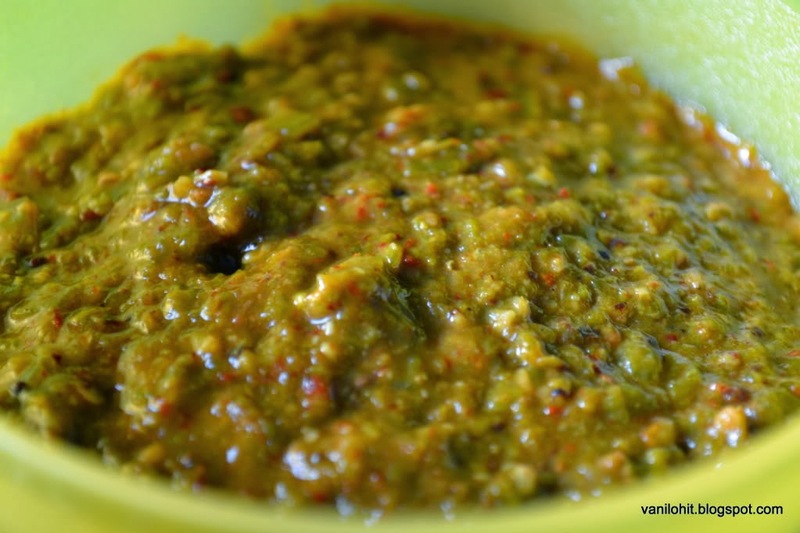 I used home grown Malabar spinach for preparing this recipe. If you plant it in a pot, it will grow nicely even with little care! This leafy vegetable is a good source of vitamins 'A' and 'C'. Sometimes, I will use this vegetable for preparing the Sambar and some other traditional Havyaka dishes. Clean the Malabar spinach thoroughly and chop them finely. Heat oil in a pan, add red chilli pieces, urad dal, mustard seeds, asafoetida and turmeric. Once it starts spluttering, add the chopped Malabar spinach. Add 1/2 cup of water, salt and amchur powder and allow to cook for 25 - 30 minutes by closing the lid. Saute them occasionally and add little more water, if required. 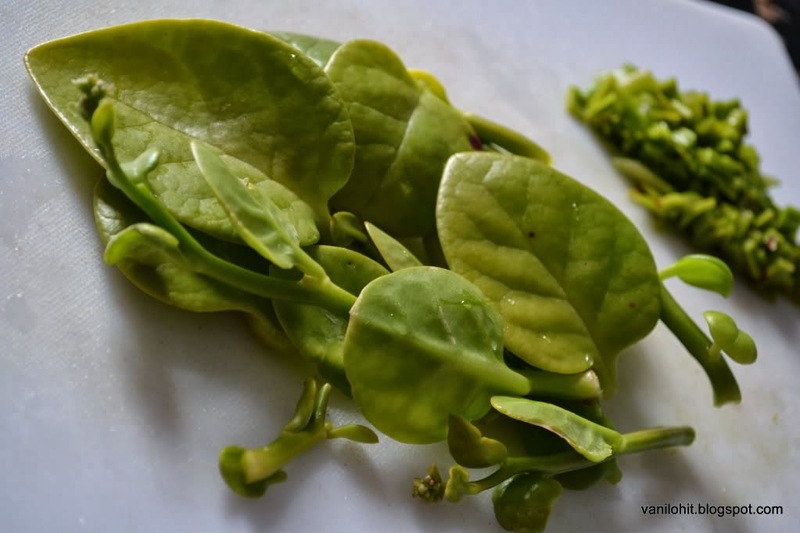 By the time you cook for 30 minutes, malabar spinach will get cooked nicely and will become like a paste. If it has not become like a thick paste, you can crush it in the mixie for a while. Finally, do the seasoning with crushed garlic and enjoy this side dish with hot rice! No need to keep it in the fridge if you can consume it within 2 days. You can make around 25 pedas with the given measurements. Heat butter in oven for 2 minutes and liquidize it. Add milk powder and condensed milk to the heated butter and mix well. Keep the mixture in the microwave oven for 1 minute, take it out, mix it well. Keep it in the microwave oven again for 1 minute, take it out, mix well and keep it in the microwave oven again. Continue this procedure 4 - 5 times until you get the proper consistency to form the small balls. Once you get the proper consistency, take it out from the oven and allow it to cool for 15 - 20 minutes. Take small quantities of batter, prepare smooth balls, flatten them a bit and keep them on a plate. 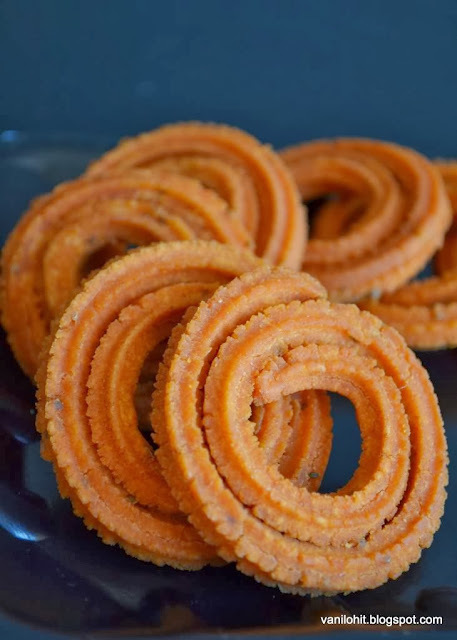 Pedas will get set well nicely if you keep them in the Fridge for 10 minutes. Transfer them to an airtight container and enjoy the delicious Pedas whenever you want. Be careful while taking the vessel out of the microwave oven. Always, prefer using a hand gloves. Always keep an eye on the children while working with the microwave oven or a hot stove. 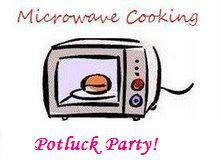 Sending this recipe to the 'Microwave Easy Cooking Event 4th Anniversary with Potluck Party' event hosted by Srivalli.